For The A.V. 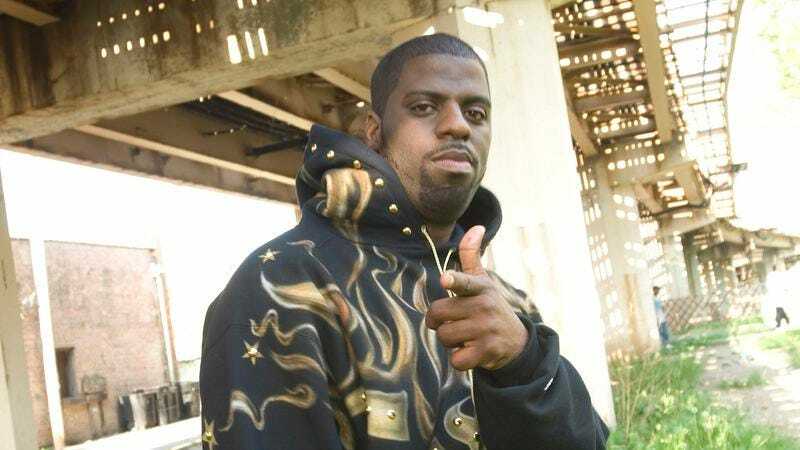 Club TV show, host John Teti interviewed Rhymefest about the state of music in Chicago. The rapper, writer, and social activist had more to say than we could fit in the episode, so here’s the unabridged conversation in written form, alongside some outtakes. The A.V. Club Hosted By John Teti airs Thursday nights at 9 p.m. Eastern on Fusion. The A.V. Club: We’re talking about the sound of Chicago in this episode. We hear a lot about East Coast and West Coast sounds when it comes to hip-hop. What is the Third Coast sound? What is the sound of Chicago in your mind? Rhymefest: When I think about a Chicago sound, I think about the Great Migration from the South. Many of Chicago’s black artists are from Mississippi, Arkansas, and with them was brought blues and gospel music. But the people are all working people from somewhere else, whether they were Polish, or Irish, or Italian, or black from Mississippi. And all of these communities working to come up created house music, and re-imagined blues, and created hip-hop. In Chicago, the biggest hip-hop is the consciousness of America. So when you look at the biggest hip-hop artists in Chicago—Lupe Fiasco, Common, Chance The Rapper, Kanye, Rhymefest—the messages that we put out with songs like “Glory” or “Jesus Walks,” it was the consciousness for a form of music that wasn’t all flashy or all gangster. But in that consciousness, it’s still that history of gospel and blues and house and even jazz. So when I think of the sound, it’s not a sound that’s ascribed to a person, but that’s ascribed to the spirit of immigration. AVC: And community sounds like an important part of it. Rhymefest: And community. To me, the sound that we produce here is the stories of people. AVC: How does that set it apart from the East and West Coast sounds? Rhymefest: New York is the financial capital of the world. Everything moves so fast, and the music is fast, and some of it is for money. So these big record labels were there. And it’s where you want to do these fast deals. And the East Coast sound—money—it’s capitalism. The West Coast sound is beauty. It’s, “Hey, man, just relax, bro.” It’s a sunny day. But the Midwest—it’s the sound of struggle and triumph and more struggle and more triumph and the lessons we learned as family. And it’s the community sound. It’s the sound that is really at the core of your soul. And that’s why we got Curtis Mayfield from Chicago. Let’s not forget that. When you hear songs like “Superfly” and “The Mack” and “Pusherman” and all of that stuff, that was all of Cabrini-Green. AVC: Talk about what Cabrini-Green is so non-Chicago people know what you’re talking about. Rhymefest: Cabrini-Green was a town within a city. It was a town where chaos reigned supreme. Where people were stacked on top of each other and deprived of resources. A place that became something that it wasn’t initially intended to be. It was intended to be temporary housing. And it became a way of life. And that way of life created music, created athletes, great artists, great athletes, great activists. AVC: So great artists can emerge from this atmosphere of chaos. Rhymefest: The struggle. What are diamonds made in? Rhymefest: That’s why Chicagoans are some of the most special people in the world. AVC: So if you’re talking to a young artist, and I know you do that a lot, and they ask you “why stay in Chicago?”—what do you tell them? Rhymefest: At least in hip-hop, for too long it’s been trying to make it out the hood. Escaping instead of making it to come back and rebuild. And that message of individuality and not collectivity, we have lost our brain trust. Our communities have lost our CEOs. There’s a duty and an obligation to community that we must teach our children to honor no matter how far they go. Life is like baseball: You only score when you leave home and return home. We have people that have left home and got stuck in the outfield. So we don’t score in our communities. It’s because of a lack of leadership. And leadership ain’t the church. Leadership ain’t the alderman. I tried to run for alderman. I saw what Chicago politics is from the inside. Rhymefest: I lost by 100 votes. It was set up like a bad joke. It was the lawyer, rapper, preacher, and officer all running for office. And the two people that went to the runoff were the rapper and the policeman. Now, the rapper didn’t win, but eight years later, the policeman who won is now being indicted for embezzling money from the office. Let’s go back to your question. Why stay? Because this is the place that gave me the experiences to help write a song to win an Oscar and write two other songs that got Grammys. There’s still work to be done. If I leave, then another generation has to start all over. This crime that’s happening is because too many people like me left. I went to Colombia for my birthday, and went to different villages and saw how people were living without police officers. They go to the elders with disputes. And then they have young people with different age groups that are the head of the young people in those age groups, and they get along as a village, and they love, and they dance, and they sing. And I was just like, “Oh, my god, we can do things a certain way.” And then my plane landed, and my car had a ticket on it. I said, “I love it, we’re back.” Why stay? Because the family needs you. AVC: Talk about Donda’s House. Tell me how you increase access to the arts and why that’s important right now. Rhymefest: Chicago has had, and has, some of the greatest historic institutions of the world. Where I believe black, African-American institutions continue to make mistakes is we don’t replace ourselves. So we have these old, rotten institutions. I’m not saying they’re not great for community and that they didn’t do great things and that as elders, they shouldn’t be held in high esteem. They should be. AVC: But you’re saying they’re not getting the next generation of leaders ready. Rhymefest: That’s exactly what I’m saying. And that’s not what office is for. And that is not democracy. I don’t agree that Mayor Daley should have been mayor for 50 years. Where is the woman mayor in this town? I can’t lie, I am a patriarch of my family, and I don’t mind patriarchy in my family. But I do understand that my wife is the engine of my home. And she makes it run. She allows me to steer the car. AVC: But with Donda’s House, you’re trying to bring along the next generation of artists. You’re trying to replace yourself. Rhymefest: Kanye’s mother was such a powerful force in my life. AVC: Do you think that’s what happens to a lot of artists, that their life becomes the art? Rhymefest: Yes, and it’s something that they wanted to get out so bad that they turned themselves into someone they never thought they could ever be, that perhaps they never even wanted to be, a lie that they forged about themselves. I know about the dishonesty in art. And so what we’re doing at Donda’s House is share your truth. Real artists offer authenticity, not just money. And so we bring artists in, like Big Sean and Killer Mike from Run The Jewels. Different people will come in and talk to young artists about the business of art. We purchased Kanye’s childhood home, and we’re trying to raise money to create a center there and call it a lighthouse. So that the light that originated at that home can happen for young people from around that community in the name of Dr. Donda West. AVC: You mentioned the business, and you said earlier that you’ve got to get on the radio to be famous. But Chance has created this narrative where you sort of create your own career through social media and you don’t need the big business side of music anymore. Do you buy that new media narrative? AVC: I might be a little disappointed. Rhymefest: What about all of the camera people and the production people and the executive producers and the army of how many? We put it on TV. An army of how many? Rhymefest: Come on, that’s not an army. That’s all I’m saying. I love young brother. I wish he would talk to me, but I don’t think he likes me. No matter. Chance likes Kanye. And so the only thing I would say is, from my vantage point, if you’re going to be Chicago, be community.